Corsair Gaming outs a new model in their keyboard line, the dust, and water resisting K68 RGB version has been fitted with Cherry MX red switches. 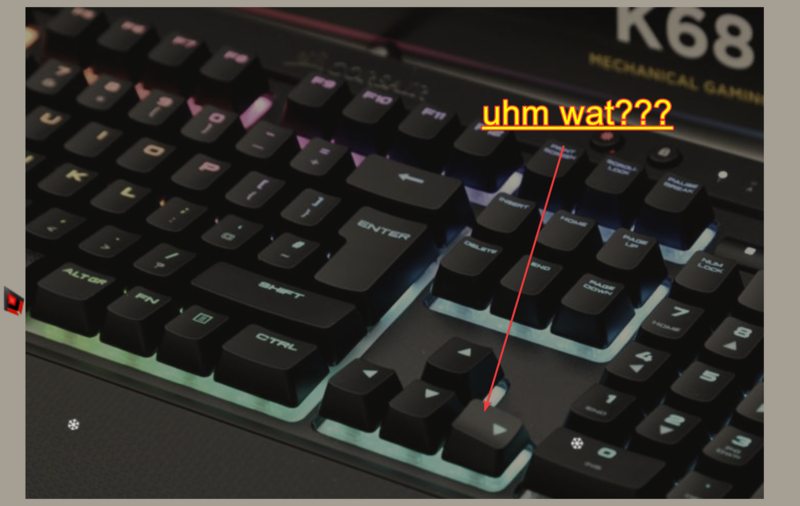 The K68 RGB is the successor of the regular K68 model in terms of the overall basis and concept, but it adds RGB lighting per key configurable with full RGB LED lit keys that can be animated and profiles. Also, if you are a bit messy around your desktop and don't wanna ruin your keyboard by accidentally spilling coffee over it, K68 is dust and spill resistant. Finally! I usually kill keyboards by spilling beers on it. -plastic rather than anodised aluminium housing. I'm moving away from mechanical keyboards. They became to noisy and hard to press lately. So far I love my new G213.